Location formerly cited as NH 512 181 to NH 514 180. For (associated and linked) Foyers Power Station (NH 50306 21774), see NH52SW 41.00. 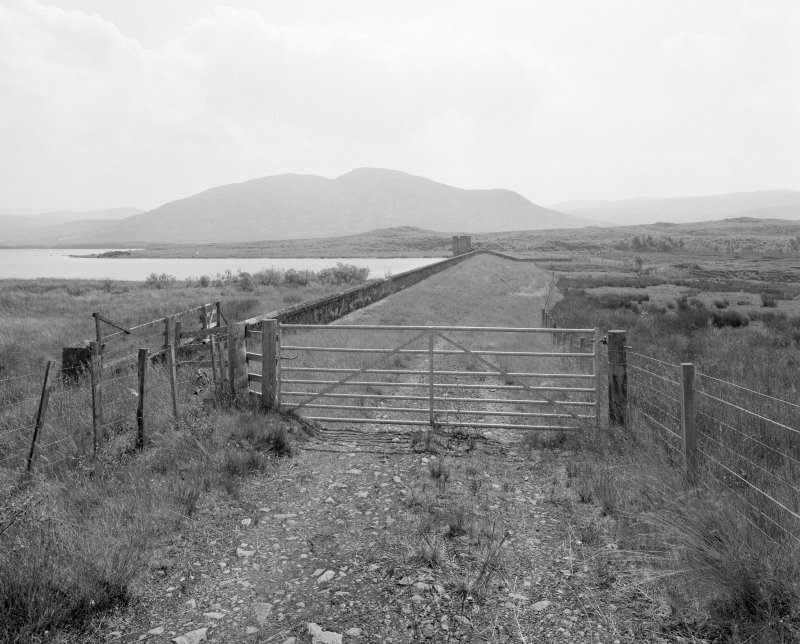 The dam is visible on vertical air photograph (OS 70/086/029, flown 1970). Information from RCAHMS (DE), July 1996. This dam is depicted, but not noted, on the 1976 edition of the OS 1:10,000 map. The available map evidence suggests that it extends from NH c. 51415 18036 to NH c. 51255 18198. This dam provided the reservoir storage necessary for the powerhouse at Foyers village. 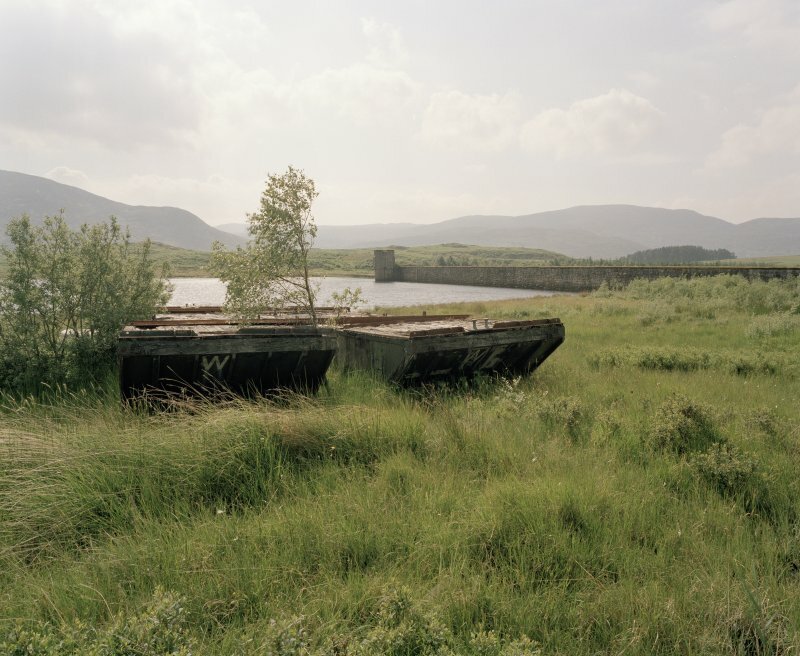 The dam raised the level of two smaller lochs to create one large storage reservoir named Loch Mhor. The dam was constructed on concrete, masonry and rammed earth sited directly onto bedrock. The turret contains the original fixtures, including winding gear and sluice gates. The architectural treatment of the dam, which is dressed in rock faced rubble and has a small Crenellated turret to the south end is very similar to that of the powerhouse, and the two are very clearly linked by a common baronial style of design. The sloped rubble wave wall is a particularly good retention. Later alterations include the addition of uPVC windows to the turret and concrete reinforcement to the downstream face of the dam wall as required by the reservoirs act. This dam is an integral part of the development of the Foyers scheme and is functionally related to both the intake and powerhouse. 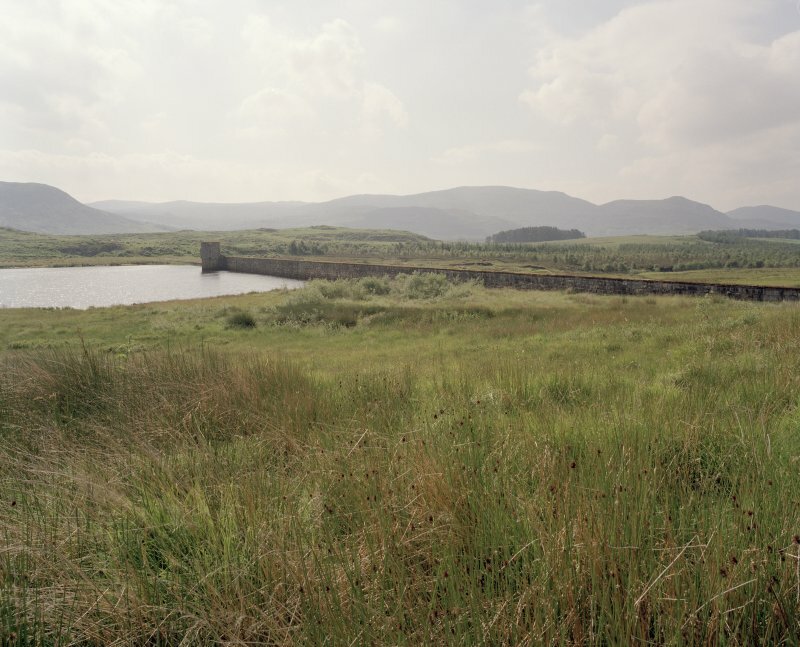 The dam has a good landscape presence with a long low profile and turret. This dam is an integral part of the development of the Foyers scheme and is functionally related to both the intake and powerhouse. The dam has a good landscape presence with a long low profile and turret. The dam was an integral part of the original design raising the water level of two separate lochs to form the single Loch Mhor which acts as storage for the scheme. 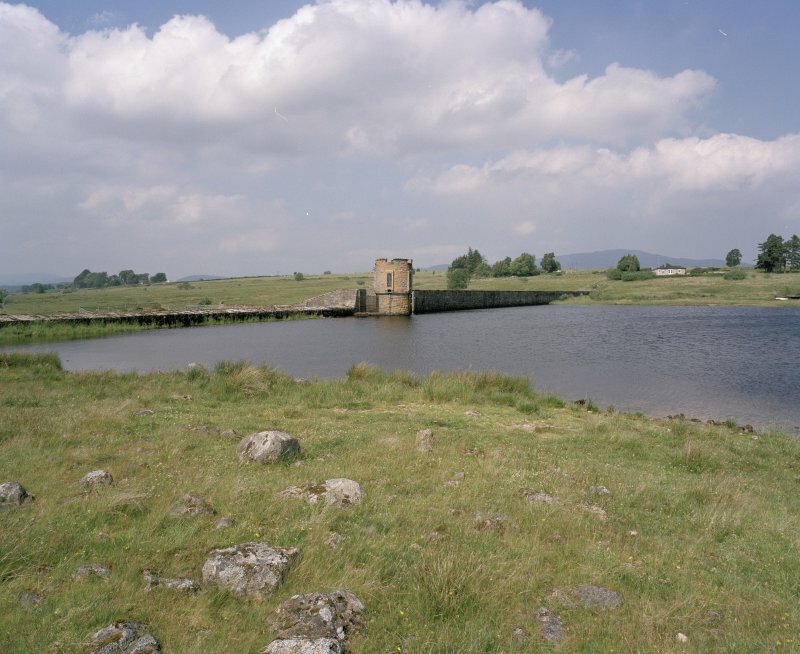 There is a degree of later alteration to the dam with later windows to the turret and concrete reinforcement to the dam wall as a consequence of the 2008 amendment to the reservoirs act. J R Hume, 1977; P L Payne, 1988; E Wood, 2002; J Miller, 2002.